Kansas courts prefer that both parents share in making major decisions regarding the child's upbringing. This arrangement is referred to as joint legal custody, and includes decisions related to the child's religious affiliation, education and the authority to consent to or refuse medical treatment. Legal custody is not to be confused with residency, which refers to where the child lives. Both legal custody and residency must be addressed in the custody order. Courts in Kansas have the authority to restrict major decision-making authority to one parent based on a consideration of the child's best interests, rather than the parents' wishes. This is referred to as sole legal custody. The court looks at whether the parents can cooperate and if either parent has a history of exercising poor judgment, such as a parent with ongoing drug addiction. If you and your spouse are completely unable to cooperate, this could also be an indication to the court that joint legal custody would not be in the child's best interests. A child's frequent and continuing contact with both parents is preferred in Kansas. To minimize disruption, courts are inclined to order that the child live primarily with one parent and have specified time, such as weekends, with the other parent. Like legal custody, residency requires judges to look at the child's best interests, which takes into account the safety of the home environment and the past conduct of the parents. In cases where one parent has had a history of domestic violence or abandoned the child, a court may decide the child should not live with that parent at all. Even so, that parent typically is provided some contact with the child through supervised or unsupervised blocks of time, referred to as visitation. 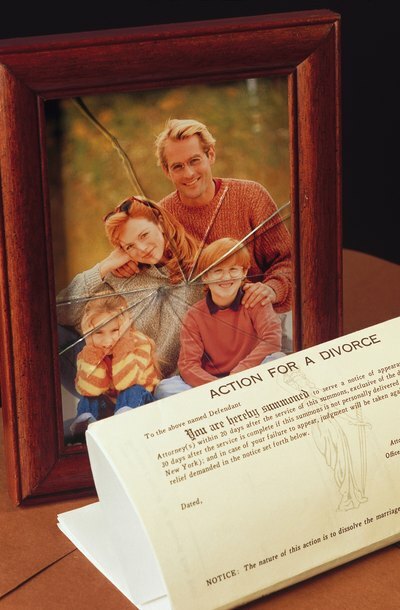 Conflict between parents does not always end when the court issues the custody order. Although you may not like the decision, there are limitations as to when you can return to court to request a change. By law, custody orders are not modifiable in Kansas, unless you can demonstrate to the court that a material change of circumstances has occurred. This might be the case if the other parent refuses to honor your rights under the existing custody order or she is considering moving away with the child.